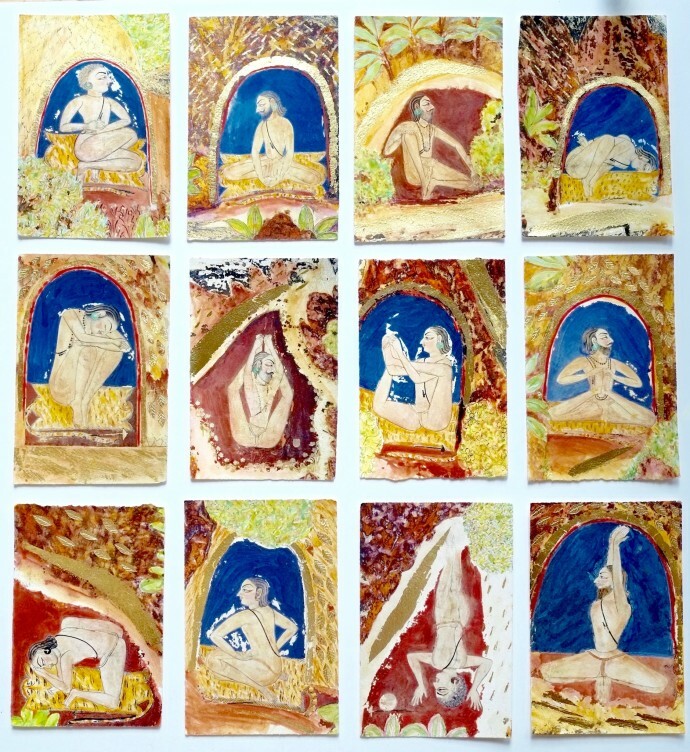 Having worked in the sub-continent for over 25 years, Katherine Virgil's work is ignited by her interests in archaeology and anthropology, and their expression in art. 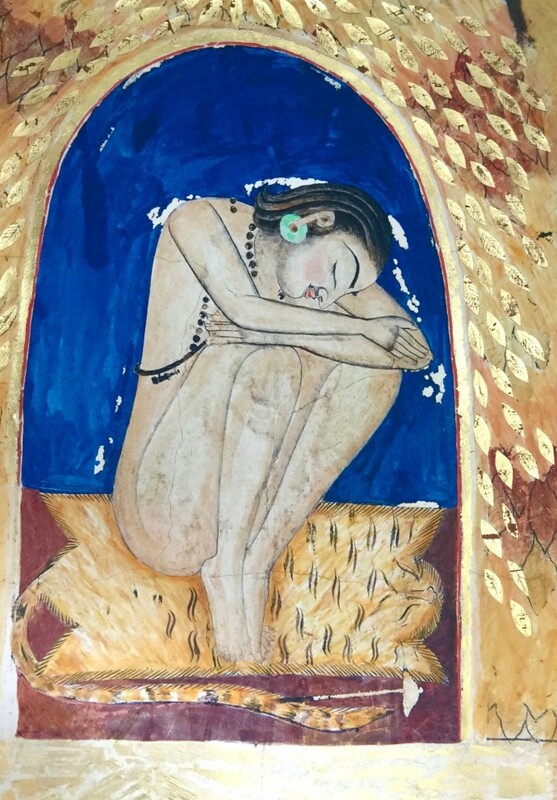 Her latest series focuses on the lost iconography of Jodhpur, inspired by a visit to a derelict temple filled with sublime frescoes of Nath yogis, whose rich lapiz blues, gold and ochre have faded with time. 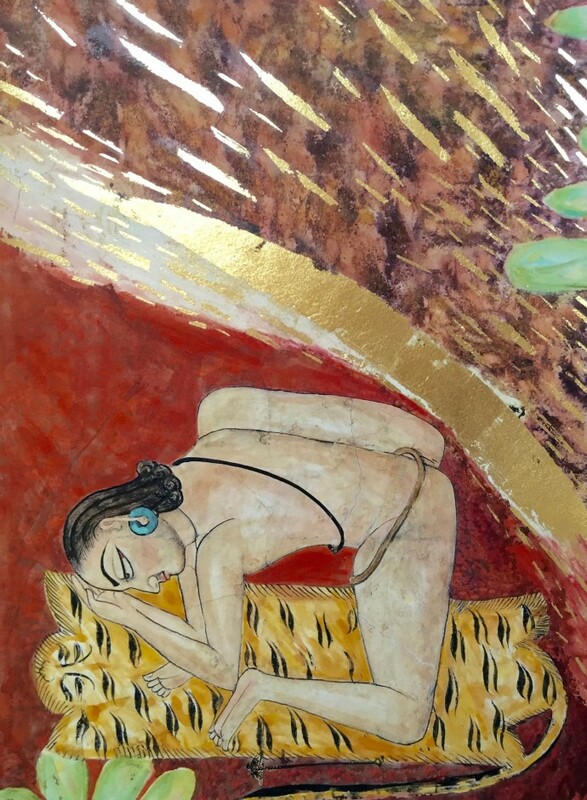 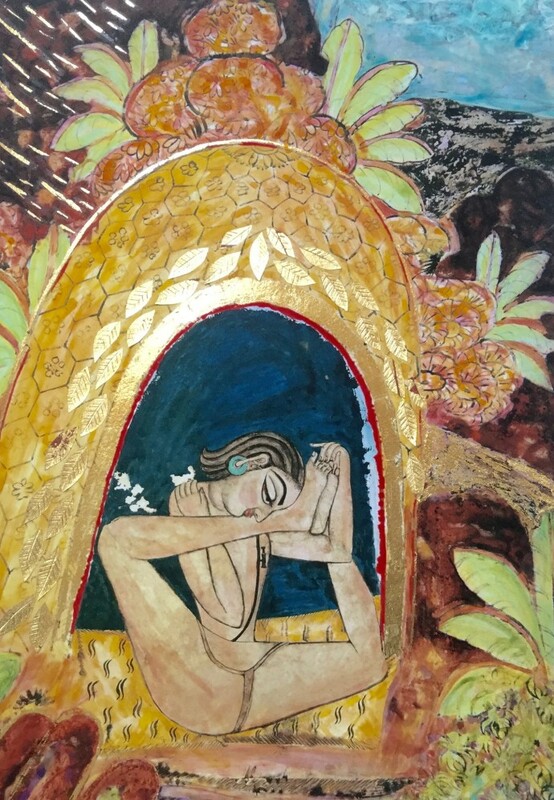 Her subject matter steeped in history, Virgils simultaneously evokes some of the most ancient techniques of aesthetic expression, making her own papers and mixing her own pigments, finishing her works with gold leaf. 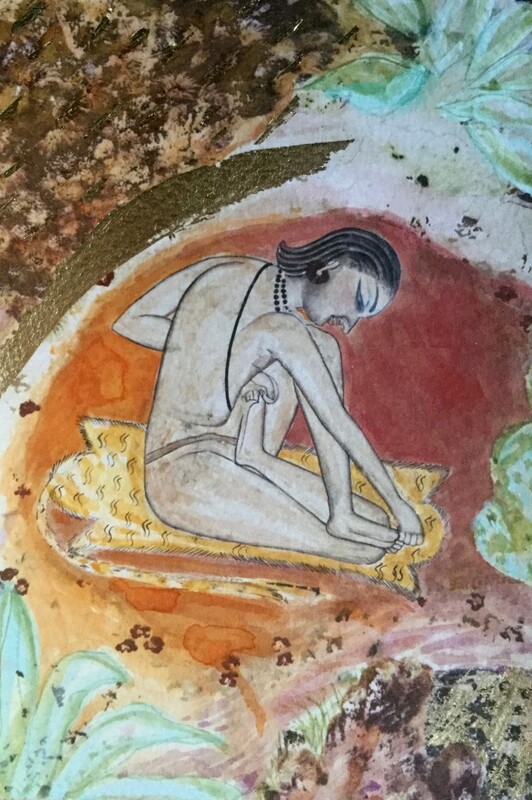 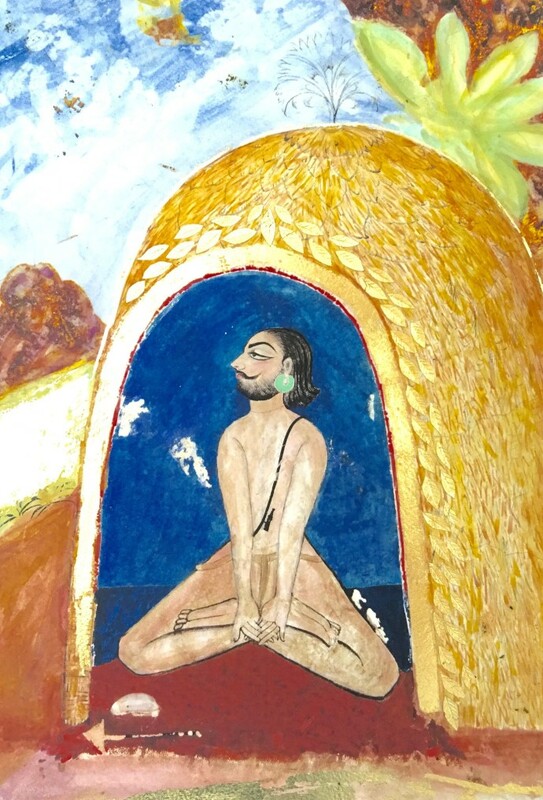 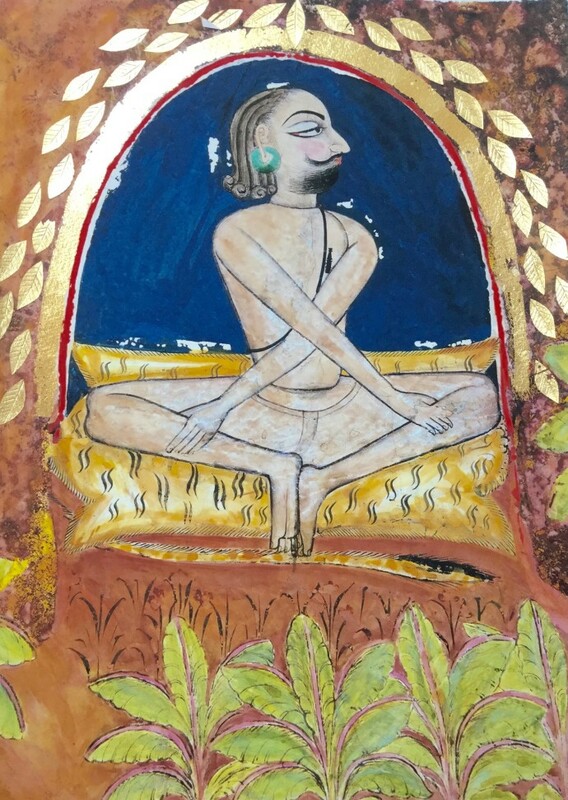 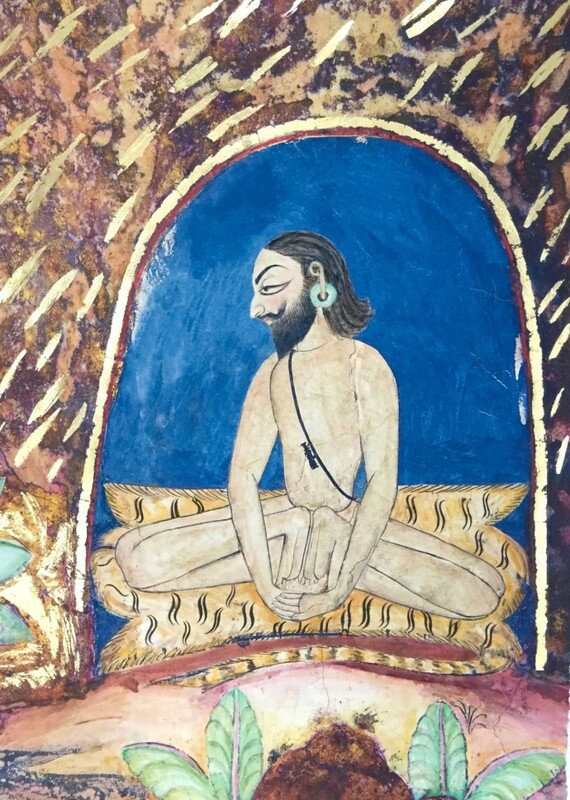 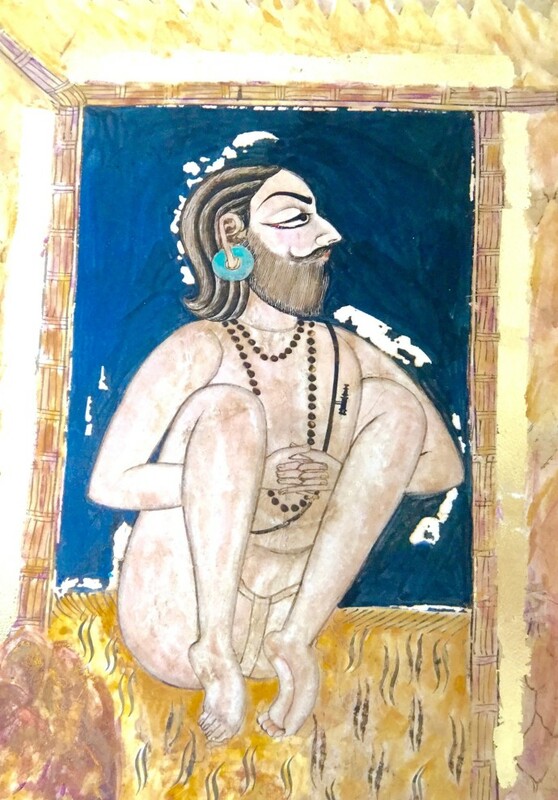 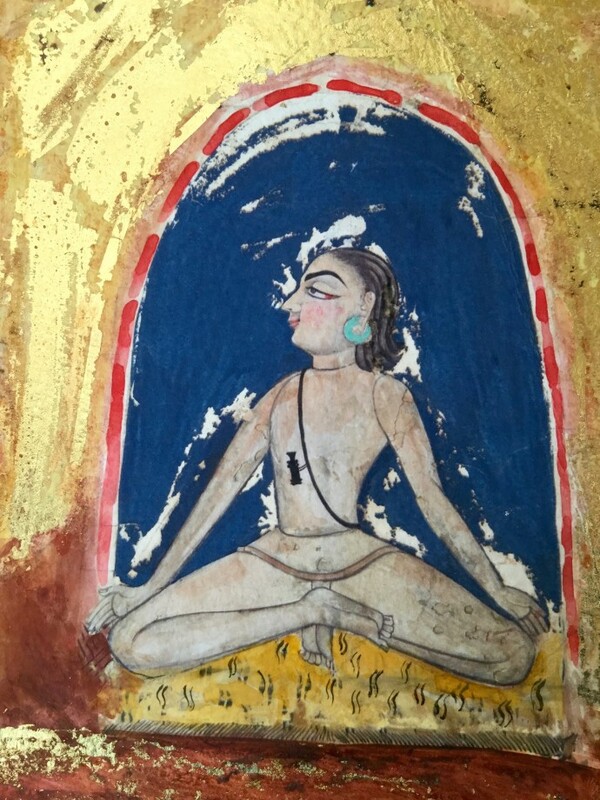 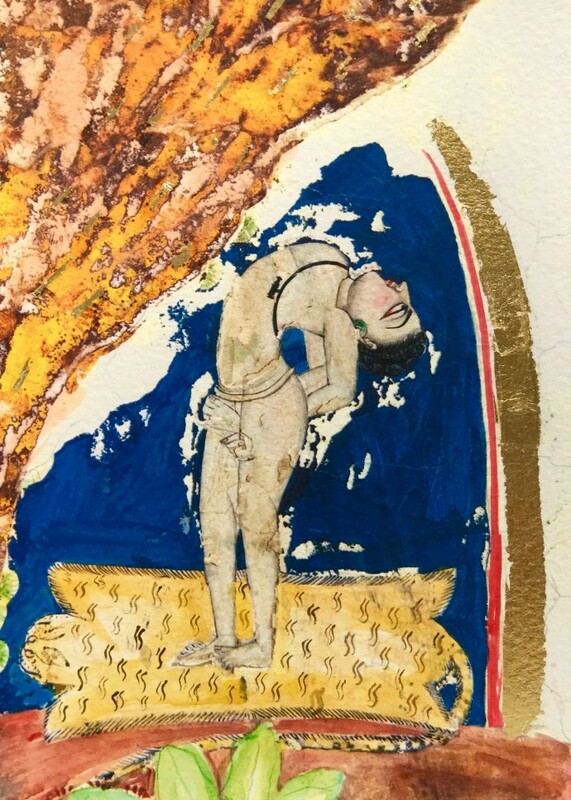 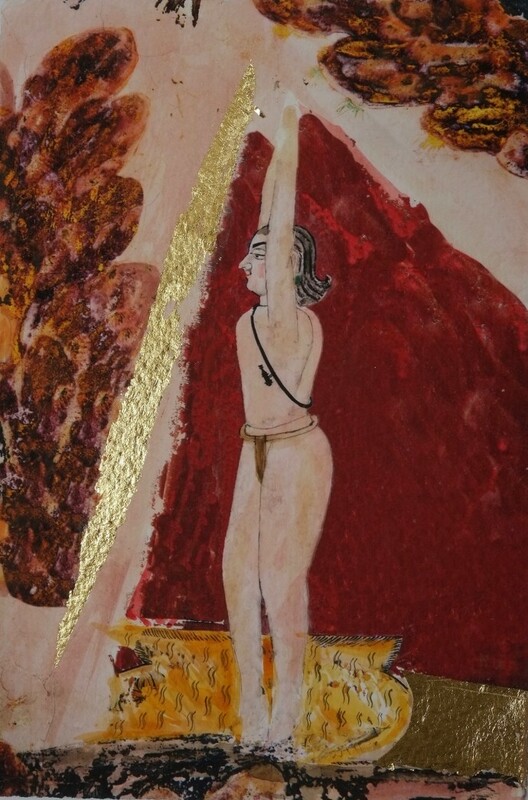 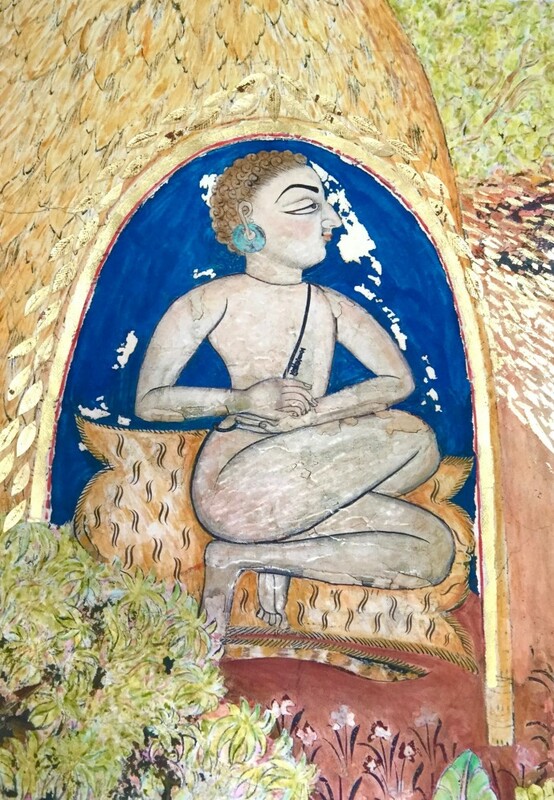 Reviving the frescoes after a 200-year hiatus, Virgils is exhibiting her yogis at the Mehrangarh Fort in Jodhpur, the site of one of the world's most comprehensive collections of yoga manuscripts. 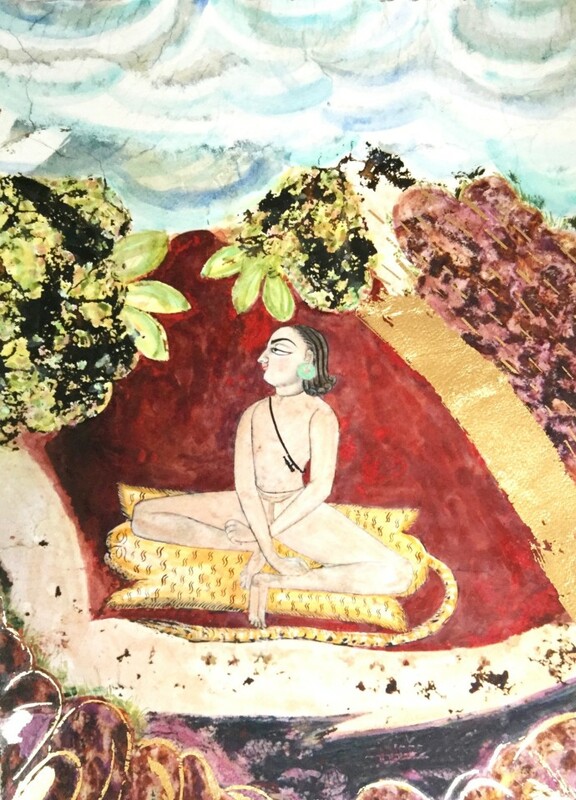 The Maharaja Gaj-Singh II, Jodhpur's 38th ruler, opened the exhibition and has been active in its curation.